NEW YORK (WABC) -- For high schoolers around the country, it's never too soon to start thinking about prom, and one local senior has already chosen her date - Kristaps Porzingis. 17-year-old Samantha Miller brought a sign to Friday night's Knicks game asking the rookie sensation to be her prom date. However, the story doesn't end there. 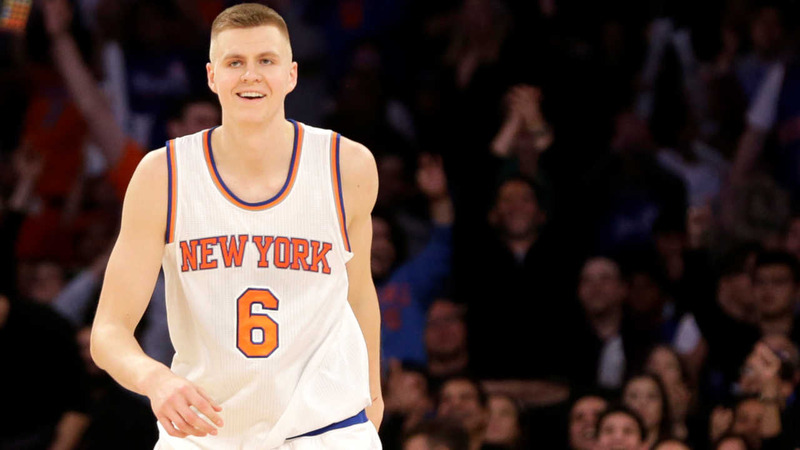 It turns out that Porzingis' Dad saw the sign, met the teen and brought the sign to his son. Porzingis then recorded a message, and posted it to Twitter, saying unfortunately he will be out of the country and will be unable to attend. The teen responded to his tweet by saying that while she wishes he could have made it, the response 'meant a lot'.